I had to admit that I was surprised that no one had asked me these questions in the past (a rarity for an old-timer like me!). However, I love getting new questions since it allows me to come up with cool ways to answer them. Therefore, in this post, I will share some of the ideas that I am proposing to this client in case your organization has similar questions. 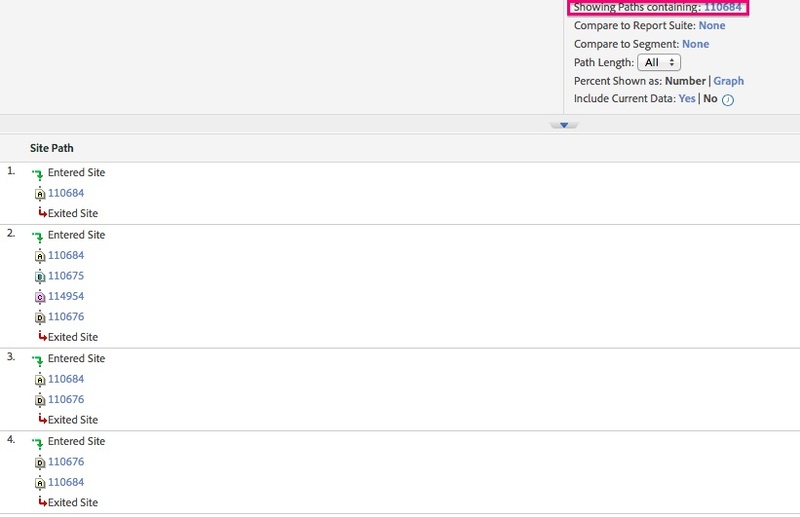 To tackle the question of which products are added to the cart first, second, third, my first instinct was to try out the cool new sequential segmentation in Adobe Reports & Analytics (SiteCatalyst). 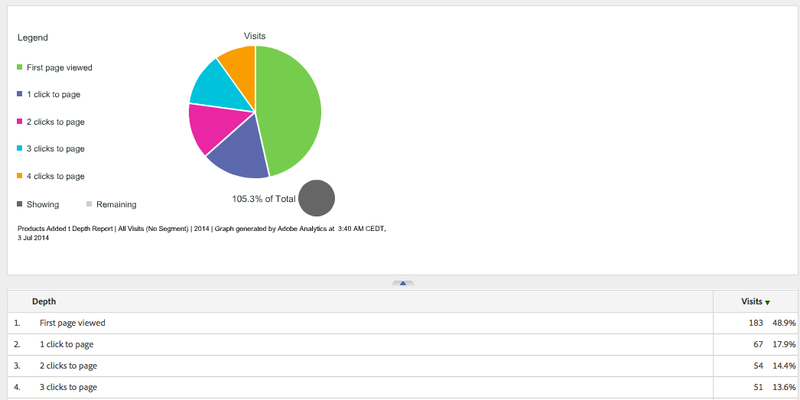 This feature has been around in Ad Hoc Analysis (Discover) for a while, but is new to Adobe Reports and Analytics. However, the more I thought about this, the more I realized that sequential segmentation wouldn’t help very much. The only scenario in which I think it might help, is if you want to know exactly how often Product A was followed by Product B and then Product C and an order took place thereafter. If you know the sequence you are looking for, you can isolate it and look at any report (i.e. 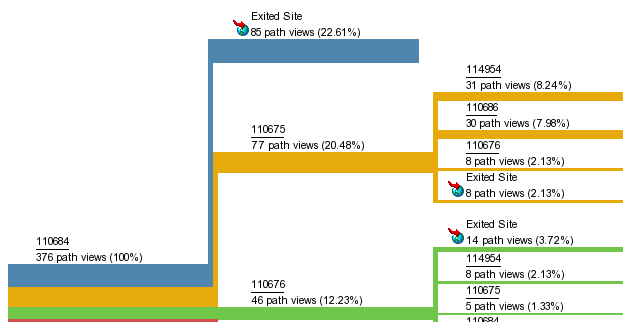 Visits, Orders) using sequential segmentation. 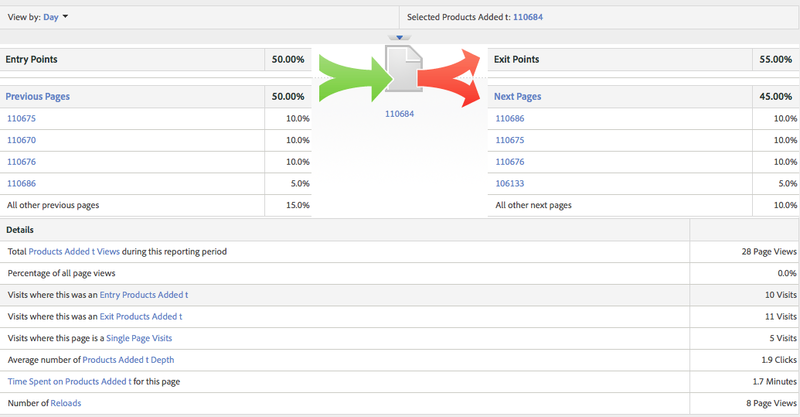 As you can see, by simply passing product ID’s (or names) to a new sProp, you can gain insight into which products are added the most and in which combinations. If you have a Product Category SAINT Classifications for your Products variable, you can also see all of the above sports by Product Category in Discover (Ad Hoc Analysis) by using pathing on classifications. Or you could always pass in the Product Category to another sProp if it is known at the time as suggested in the comments by Jan Exner. 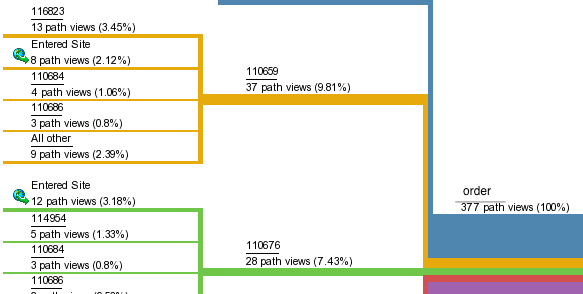 This is probably best done in Ad Hoc Analysis (Discover) where you can have unlimited branches in the report, but you can still extract value from this in Adobe Reports & Analytics. You may even be able to use the “Page Depth” (even though they really aren’t pages!) to see how often a particular product was the first one added to cart, second, etc… I say may, because this is what I think this report is showing, but I need Ben Gaines to verify this for me! Lastly, if you care about Cart Removals (which is not something I normally care about since many people simply exit instead of removing products), you could also include them in this approach. To do this, you’d have to change the values you pass to the sProp to be “Add:[Product ID or Name]” and then use “Remove:[Product ID or Name]” instead of just passing in the product ID or name. As those of you who have read my posts in the past know, sometimes, I come up with crazy ideas like this and they work out, but other times they don’t. If you think this concept is interesting, feel free to give it a try, but keep in mind that this is just a concept for now until I get some clients to do more experimentation…Enjoy! Nice article. Interestingly, I think pathing is more valuable for values other than the page. 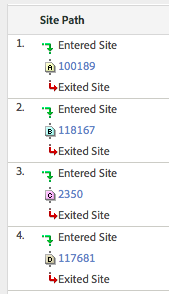 Pathing on onsite search terms (stored in both a prop and evar) has given us some very useful and actionable insights. That instrumentation, combined with the number of search results returned for the onsite search term–bada bing, bada boom. Great concept. I’m also surprised noone has asked that before! One idea from my end: for retailers who sell millions of products it might make sense to add a second prop and do the same thing, but on a product category level rather than the individual product. Another thought: you wrote “so the exit rate below is the combination of single carts + abandons per visit”. If you are passing “order” into the prop, then the “Exits” are actually abandons, no? The report essentially tells you what the last product into the basket was for those baskets that did not convert. I guess an analysis of baskets that did NOT end in “Order” is a good idea. Oh, and if you have a prop that does not “reset” at Order, you could check whether people who just bought something were contemplating adding stuff. Not sure how common that behaviour is, though. I have a question somewhat related to this.. If a visitor adds an item to the cart by increasing the quantity +1 can we capture that as an scAdd. I am trying to answer how many units were added to the cart (by increasing quantity in the cart)? How many items were added when quantity was updated? I also am trying to answer the same question around Cart removals.. i was thinking of implementing a numeric event , but then that wont help answer how many items originally existed in the cart… Thoughts?